One of the biggest unanswered questions in food history, which is better, pizza or calzone? Well, I’m going to weigh up the advantages of both and find out which is the superior of the two. 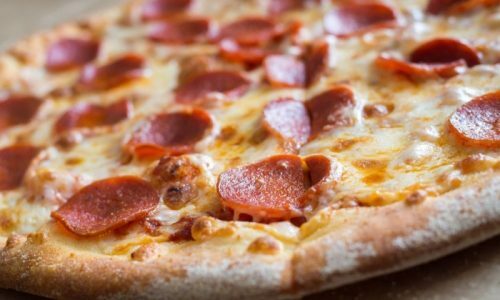 Pizza is known by everyone in the world and if you don’t like the taste of pizza then you may need to contact your doctor…! 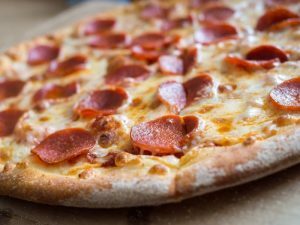 A pizza consists of a dough base, and whether that’s thick or thin, it is usually galvanised in a tomato sauce and then coated with toppings like pepperoni, cheese, anchovies, peppers, you name it! One of our pizzas even has haggis on it! Pizza is very versatile as it can be eaten in a variety of ways. On the move, by the slice, hot from a box after a night out on the town, or by all the family gathered round the table for Pizza Night! One of the best things about pizza is that it’s the ideal food to eat using your hands! 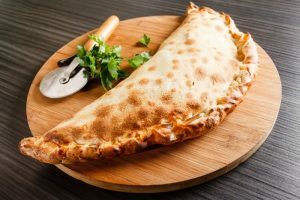 While every bit as tasty as a regular pizza, there is one feature of the calzone that some people may find disturbing… Unlike pizza which you traditionally eat with your hands, some calzones are so massive you need cutlery to eat them. Shocking I know, but not necessarily an insurmountable challenge (it just means you need a knife and fork at hand). Our Cosmo’s pizzas fit the bill for any occasion – pick one (or five) up at your local Tesco, Sainsbury’s and Morrisons. Buon Appetito!